Renting a storage unit for some of your property is a good way to free up space around the home. There are a lot of things you could put in there that would be considered very valuable not only as a personal keepsake but also monetarily. 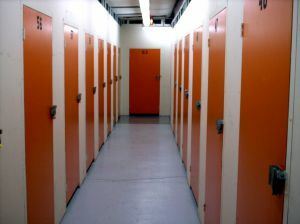 Although many storage unit facilities boast about their security measures, there are some proactive tips you can take to keep your property safe at a storage unit. Most storage units have the ability to use a combination or padlock to secure your unit. However, those things can be cut through with a pair of bolt cutters. It’s not something the lot companies want to advertise but it happens all too frequently. The way around that is to find units that have a no hasp lock. That means a bowl clutter can get in there. Storage units with keypads are even better. Many storage units are like garages in that they are exposed to the elements. A good way to safeguard your property is to put it up on pallets inside the unit. This will help any accidental flooding from rain, which is a big issue around Seattle. A storage unit isn’t going to be totally sealed up. Dust and dirt will have a way of blowing in. That’s why you want to make sure any furniture you store in there is wrapped in blankets. Most storage unit facilities offer an insurance policy for property kept on their premises. But you have to read the fine print. They will only be paying a fraction of its value. They also will be charging that insurance to your rental fee. Your homeowner’s policy might already cover your property if it’s put in a storage unit. That is something you should definitely speak your insurance agent about. Regardless of which type of insurance policy you get for your property it’s a smart move to write a thorough inventory of all the items going into that storage unit. Taking pictures of everything including serial numbers is another good precaution to take. The things that are going to your storage unit are important to you. That means keeping the clutter out. You should be paying rental space on junk. As you pack everything up you could create piles of rubbish that you want to get rid of. One call to Junk King Seattle will take care that. They’ll send over a team and a truck to haul away all the stuff you want to toss out. Keep clutter out of your storage unit with help from Junk King Seattle. This entry was posted in Seattle Junk Removal and tagged clutter, Junk King Seattle, junk removal, storage unit on July 27, 2017 by Junk King. Last updated July 27, 2017 .